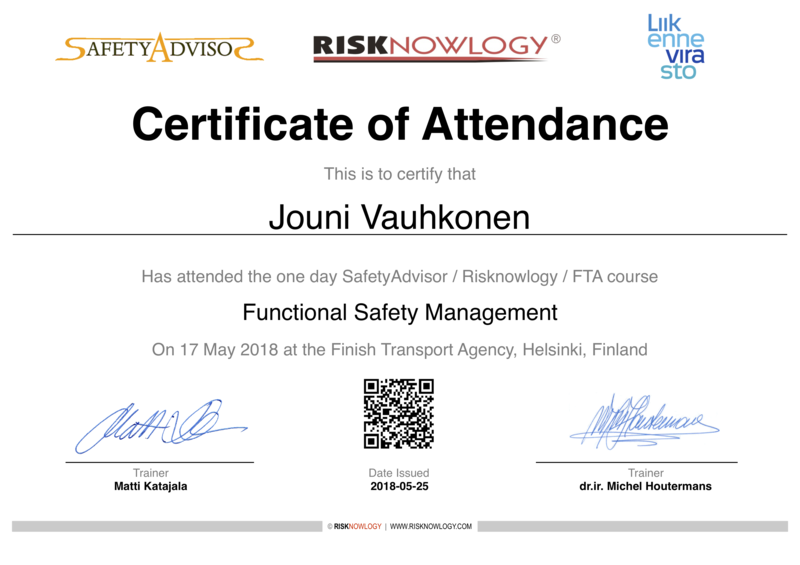 This Safety Passport of Jouni Vauhkonen is a personal competence record - Verified by Risknowlogy. 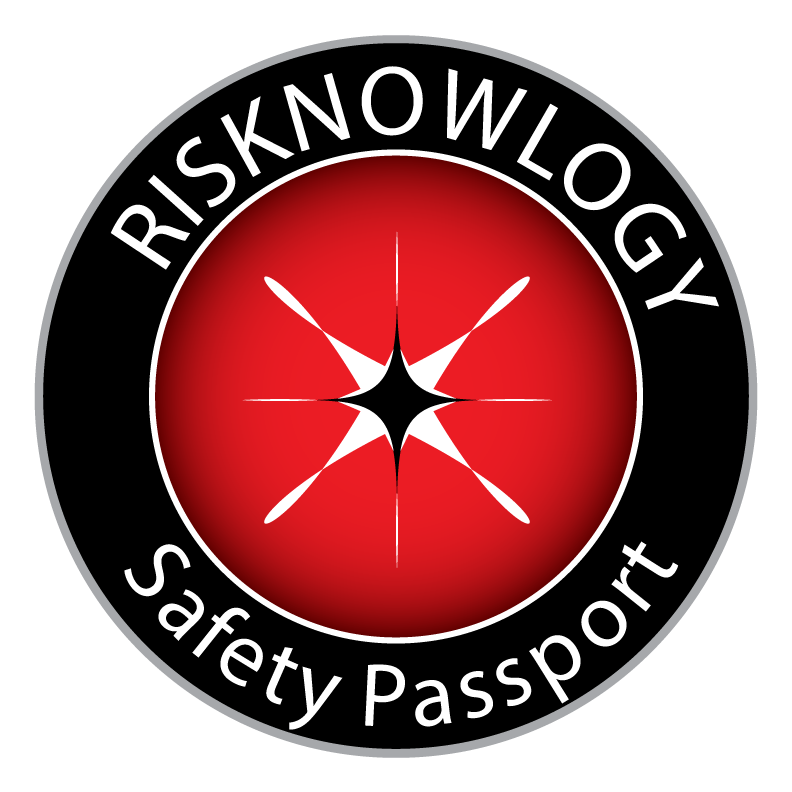 This section lists the Risknowlogy training courses attended by the Safety Passport holder. Click on the training to get an overview of the course attended. Master - FS Master (>3000 hrs). Expires: Indicates the date this competency expires and needs to renewed to stay active. There is no date in case the certificate is for life. Status: Relates to course with exams/case studies and the current status of the certification if applicable. Completed: The passport holder has completed a course without certification or has not completed the certification yet. Certified: The passport holder has completed a course and got successfully certified. Certification was based on an exam and/or one or more case studies.